Stainless steel won’t just make the SpaceX Starship rocket look cool — it’ll help it stay cool, too. 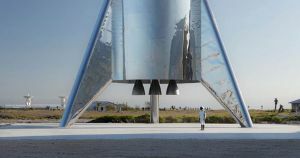 Musk told Popular Mechanics that the idea is to use a technique known as transpiration cooling to cool the outside of the SpaceX Starship, also known as its “windward” side. This involves building a shell for the rocket using two layers of stainless steel separated by a liquid-cooled gap.